I have a history of posting quite a bit on this forum, including what amounts to an entire online book (Could It Be?). I haven't been very active here lately, but that doesn't mean I've ceased thinking about ... things. Even allowing for the limitations inherent in artistic portrayal this picture seems to me to be woefully inadequate and misleading. Not for the dog - as you likely know I believe all of God's creatures individually continue in Paradise. Not for that strange fish out of water - I see no reason why that could not happen. Fish will also be immortal in Paradise. Rather, the problem as I see it is that angels are intrinsically purely spiritual beings. Clearly they could manifest themselves in Paradise as the traditional winged beings, but why? After all, the human saints are spiritual as well as physical. 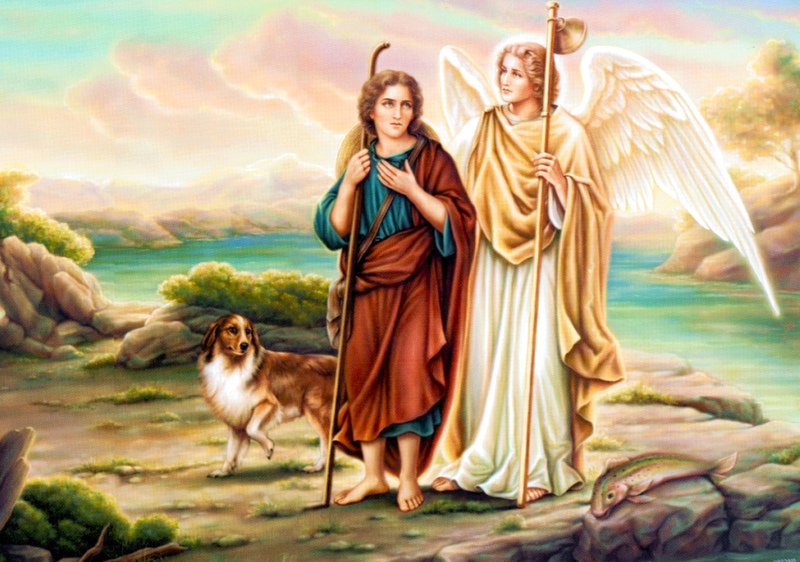 So why would not encounters between an angel and a saint be entirely on a purely spiritual basis? It's a Heavenly reality, but pondered by human minds. How else could they portray the angel in a portrait? It would be like the kid in art class who handed a blank piece of paper to the teacher. "Where is your drawing?" asked the teacher. "It's right there. I drew a cow eating grass." "The cow ate it all." "You don't think the cow is going to hang around when the grass is all gone, do you?" Somehow the artist had to qualify an angelic being in a way humans here on Earth could understand. He couldn't just hand in a blank bit of canvas there. And I agree about the fish. In Eden, the animals and people would have had preternatural abilities.